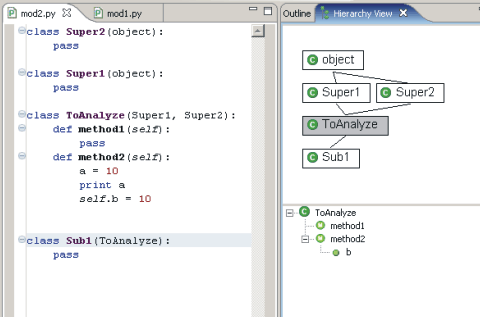 In PyDev you can use F4 to open the hierarchy view for you while over some class definition. The Hierarchy View allows you to check a class hierarchy, seeing the relations as well as methods and attributes for all the classes in the hierarchy. Double-click a class, method or attribute: will open that definition in the editor.